For two nights only in London this January, Soul and R&B singer/songwriter Chrisette Michele will be headlining her own shows at the Jazz Cafe. 2012 was a good year for Michele as she went on her Audrey Hepburn journeys and released her debut mixtape Audrey Hepburn: An Audiovisual Presentation last December. Michele also featured on NBA player - Iman Shumpert who goes by the stage name 2wo 1ne's mixtape Th3 #Post90s on the track 'Supaphly' which can be heard here last year. This year - Chrisette Michele plans on releasing her debut album Better, since the release of her 2010 album Let Freedom Reign. 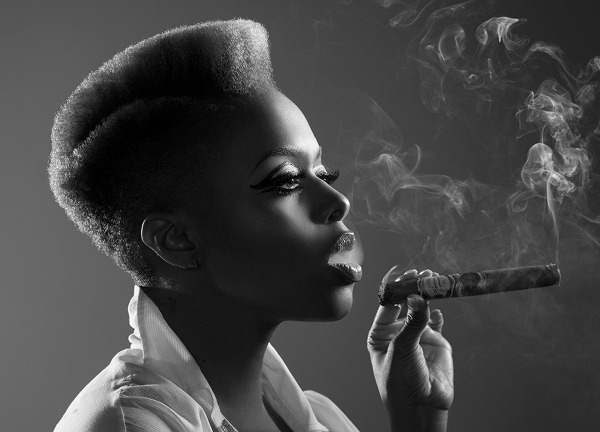 Chrisette Michele has collabo'd with the likes of Rick Ross, Drake, Wale, 2 Chainz, Ne-Yo, Will.I.AM and other great artists in the industry to name a few. The 'Charades' singer is coming with a live band as she plans on rocking the nights on European tour in London as she comes with The Rat Pack 3013! Check out the UK tour dates below as well as the video to her single 'Charades' and her mixtape 'Audrey Hepburn: An Audiovisual Presentation'.